One of the most convincing cases as proof of reincarnation is said to be that of the Pollock family in England. This is their story. John and Florence Pollock, a Catholic married couple, lived in Hexham, Northumberland. 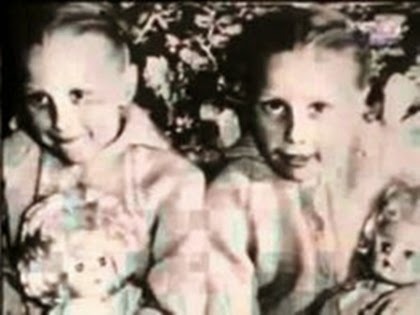 They had two daughters Jacqueline, 6, and Joanna, 11. Life was good until tragedy struck. Jacqueline and Joanna, along with a friend Anthony Layden, were walking to their local church when they were struck by a car, where the driver had lost control. All three of the children were killed instantly. The date was the 5th of May, 1957. One year later Florence was pregnant. Doctors confirmed the pregnancy of a single child. John, however, disagreed. 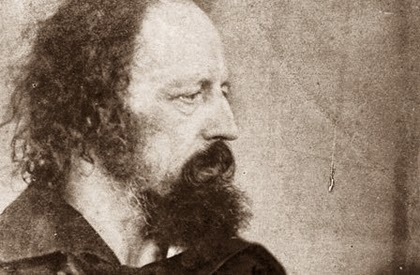 He believed in reincarnation, despite it being a mortal sin in Catholic eyes, and was convinced that Florence would have twins and that the souls of Jacqueline and Joanna would be reborn. John was proved right and on the 4th of October 1958 Florence gave birth to twin girls, Gillian and Jennifer. Jennifer was born with a thin white line on her forehead in exactly the same position as a wound her dead sister Jaqueline had on her head, following an accident on her bicycle. There was also a distinctive birth mark on her left hip, again identical to the one that Jacqueline had. The family moved to Whitley Bay when the twins were just months old, but when they were three-and-a-half and they visited Hexam things got interesting. The twins were able to point out places they would never have seen before. Somehow they recognised 'their' school [i.e. Jacqueline and Joanna's school] and also the old family home as they drove past. Strange things continued when Gillian and Jennifer were given Joanna and Jacqueline’s toy box. They were able to give the dolls their correct names. Florence then saw her twins playing a disturbing game. Jennifer lay on the floor with her head in Gillian’s lap, pretending that she was dying. Her sister played her part by saying, "The blood’s coming out of your eyes. That’s where the car hit you." On another occasion the twins screamed out when they saw a stationary car with it's engine ticking over. The girls were trembling and cried out, "The car! It's coming to get us." John and Florence have said that at that time they had never discussed the accident with the twins. As often happens with such cases, as Gillian and Jennifer approached the age of five their memories of any previous life dimmed and were finally lost. On Google Books I came across European Cases of the Reincarnation Type by Ian Stevenson where he writes that the Pollock case, "... provides some of the strongest evidence known to me in favour of reincarnation." Their physiques correspond to those of Joanna and Jacqueline. Joanna had been somewhat slender and so was Gillian, Jacqueline was somewhat stocky and so was Jennifer. Jacqueline held a pen or pencil in her fist instead of between her thumb and forefinger. Jennifer held her pen in the same way and continued to do so into her 20s. I also read on Google Books Science and the Afterlife Experience For Immortality by Chris Carter that Ian Stevenson was still, "... in touch with the Pollock family until 1985 and by that time Gillian and Jennifer had grown up to become normal young women. Long before that they had completely forgotten the memories they had of previous lives and were mildly skeptical about whether or not reincarnation did occur. However, they didn't challenge or deny the testimony of their parents." 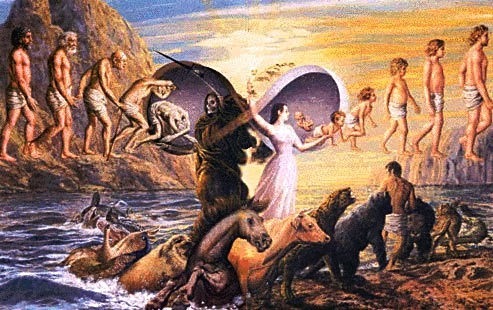 So, is this a convincing case for reincarnation? Nowadays for information or inspiration we tend to spend time on the Internet. I wonder why though, when real inspiration comes from within - and has done so for centuries. All of the real, important answers are there waiting to be heard if we bother to stay silent and listen. 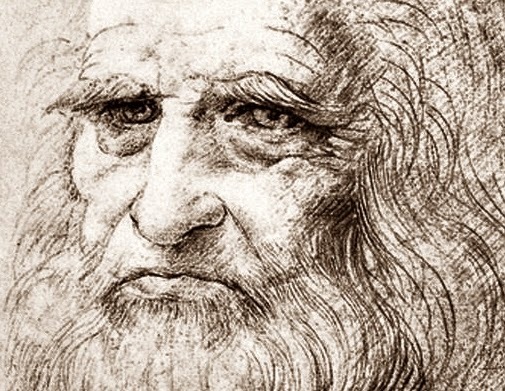 When Leonardo da Vinci wanted creative ideas he would look into a heap of ashes and the concentration would succeed in developing a reverie where the ideas he needed would be born. Mozart said, "When I am, as it were, completely myself, entirely alone, and of good cheer: it is on such occasions that my ideas flow best and most abundantly, whence they and how they come I know not, nor can I force them." "A kind of waking trance I have frequently had quite from boyhood, when I have been all alone. Out of the intensity of the consciousness of the individuality, the individuality itself seemed to dissolve and fade away into boundless being; and this is not a confused state, but the clearest of the clear, the surest of the surest; utterly beyond words; where death was an almost laughable impossibility, the loss of personality (if so it were) seeming no extinction but the only true life." I guess we could say that Silence is God. Dr.Paul Brunton wrote: "The greatest truths sometimes come unheralded into the mind. We only know that yesterday we could not accept them, but today we hold them gladly. So it is with man when the first rays from the sun of immortality begin to fall upon him." By which thou wilt abide, if thou be wise. The secret path is hidden inside us, waiting to be followed. This is the third post where I take an old Cornish photo and try to take an up to date photo to compare how Cornwall has altered. In this case not much has changed. 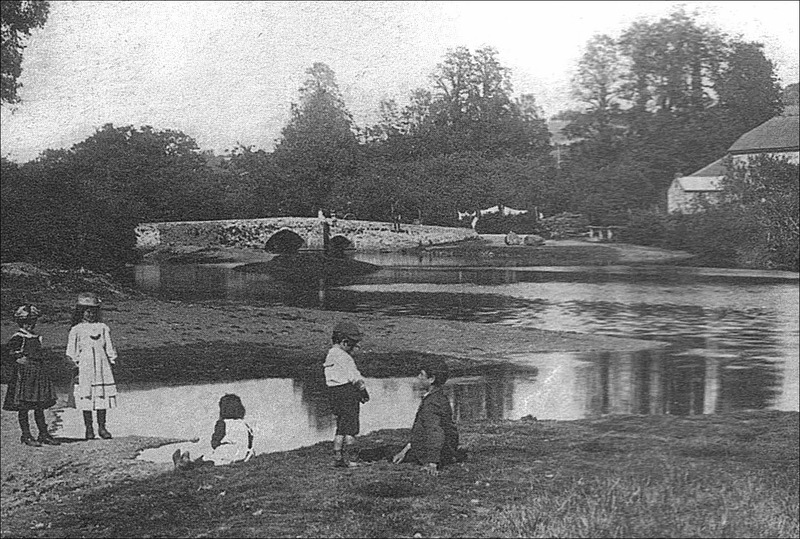 The photo above was taken in the late 1890s of Lerryn bridge, Cornwall and it looks very much the same - though the children have no doubt now moved on. Lerryn is a beautiful spot by the river. I published photos of a walk, which starts in Lerryn, In Search Of Celtic Crosses At St.Winnow In Cornwall. In the 1500 and 1600s smuggling was a way of life in the village and one of the village lanes is called Brandy Lane after the favourite smugglers tipple. In nearby Ethy woods there is said to be the entrance to a tunnel which leads to Ethy House, where the contraband was stashed and hidden from the Excise Men. There's always a story in Cornwall! Here's a touching email I received. "I have been reading your articles for several months and have to agree with you about life in respect of us getting back what we give out. This has also produced coincidences for me as well. 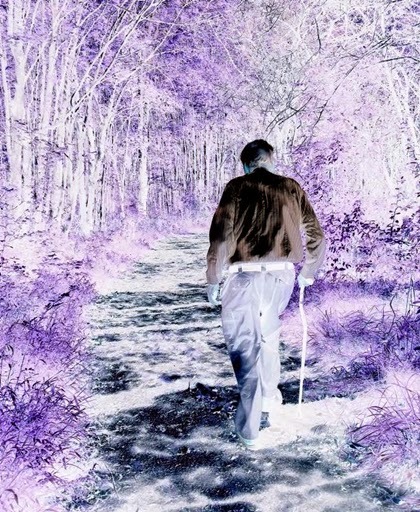 Towards the end of last year my husband suddenly died and I felt very lonely. I'm 78 years old and we had been together for 54 years, doing everything together, but suddenly I was alone. I do have two sons but they lived far from what was once their home. I was in despair after he died but eventually gave myself a good talking to and decided I had to go on. I decided I would try to do something every day for someone else, much as you suggested in one of your articles. I also remembered from when my boys were young and were Boy Scouts. They were told to help someone every day and to tie a knot in their neckerchief when they had. I baked some cakes and took them to a neighbour who was very surprised at me doing this. It brought a smile to her face which made me smile. That night I wished so much that I had a close friend and was in tears. The next morning there was a scratching at my door and standing there was a very bedraggled tabby cat. I didn't want a cat but I let her in and fed her some chopped meat. She then curled up on my settee and went to sleep. I asked about but no one had lost a cat and then I realised that I had my friend. Not what I expected but Whisky has kept me company ever since and she is nice to come home to when I have been out shopping. I carried on trying to do something else for others even when I felt low and it cheered me up. Gradually I have made some new human friends and one of my sons and his family are moving back to be near me. I never asked. He surprised me one day by knocking on my door and said he had been to the estate agents looking at houses for sale. 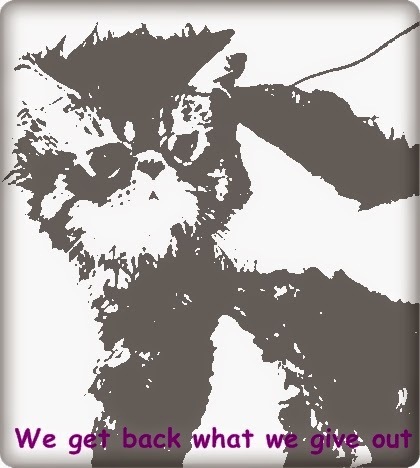 I'm not completely sure what I am trying to say but we do get back what we give out. I could have been quite miserable after my husband died and sat in front of the television all day and get ready to die as well. Instead I have Whisky, my son and his wife will soon be nearby, I've made friends with neighbours and I try to go out every day. I miss my husband very much but I feel he is looking down on me with approval. He wouldn't want me to be unhappy. I asked Dorothy's permission to publish this. I read on the Epoch Times website that Dr. Bernard Beitman is developing an interdisciplinary study of coincidences. Not too sure what that exactly means but he gave an example of a personal coincidence he experienced when he was just eight years old. His big buddy at the time was his dog Snapper and one day Snapper disappeared. Obviously the young Bernard was very upset. His mother suggested that he rode his bike to the local Police Station to see if they, or anyone else, had reported seeing his dog. Unfortunately they hadn't. By now the young Dr Beitman was very distraught and started to cry. He got on his bike and and because he was so upset took a wrong turn. He carried on along the road and saw a dog ahead that looked just like Snapper and, of course, it was. Snapper saw him and ran towards him as though he was expecting to meet him there. Dr Beitman said about this, "I'm almost sure Snapper said to me, 'Where have you been?' The dog seemed to be expecting me." He went on to call this a 'weird coincidence' and added, "When you get lost, coincidences are more likely to happen. Coincidences are out of the ordinary, and they often occur when a person is doing something out of the ordinary." What seems a wrong turn often turns out to be the right place or, as Dr Beitman states in the case of Snapper, "Love connects." Dr Beitman gives another example of one of his own coincidences. His father was on his deathbed, thousands of miles away and Dr. Beitman started choking, apparently without cause. He later found out that at approximately the same time, his father was choking. He experienced what he understands to be simulpathity. He explains it thus: "Our thoughts and feelings have much more influence on each other than we think," As for 'simulpathity', he describes this as: "A specific subclass of synchronicity - the simultaneous experience by one person of another person’s distress at a distance." So that's my new word for today! Dr. Beitman is a visiting professor at the University of Virginia and former chair of the Department of Psychiatry at the University of Missouri-Columbia. He attended Yale Medical School and completed his psychiatric residency at Stanford. It amuses me when I hear of people praying to a God to help them slay the enemy in any conflict. God wouldn't, no couldn't do this because, if we believe in a God, He is the creator of everyone - and we are therefore part of Him. It's why sects like the Jehovah Witnesses have got it wrong with their views of Armageddon, God wouldn't/couldn't destroy a large section Himself. Evolution is a spiritual system whereby we gradually realise that we are part of the whole i.e. God, or whatever term you would prefer to call a supreme power or source of life. Jesus, was/is known as the Son of God. True, because we are all the 'children' of God following an evolution trail at whatever speed, and in any way we choose. "Evolution is the awakening of the soul to a recognition of its unity with the Whole. Material evolution is an effect, not a cause. This reverses the popular belief, declaring that evolution is the result of intelligence, rather than intelligence being the result of evolution." "The aim of evolution is to produce a man, who at the objective point of his own self-determination, may completely manifest the inner life of the spirit. Even the spirit does not seek to control us, it lets us alone to discover ourselves. The most precious thing a man possesses is his own individuality; indeed, this is the only thing he really has or is." That about sums it up: we are individualised parts of God, therefore immortal. One day, no doubt, we will realise our possible potential. Just rambling thoughts. Enjoy the evolution trail, most of us probably still have a very long way to travel! While reaping the harvest in the village of Woolpit, England a strange discovery was made. 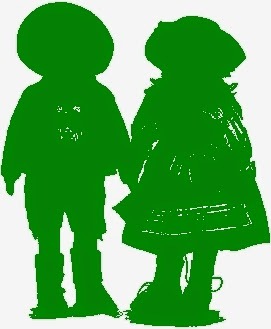 Within a hole in the ground, used to trap wolves, were two children and both - a boy and a girl - were green in colour and spoke an unknown language. The strange story from the 12th century remains a mystery today. The children were taken to the home of Richard de Calne, a Knight living at Wikes, where at first they refused all food until they discovered bean stalks, which they were happy to devour. The restricted diet obviously wasn't too healthy and the boy became sickly and soon died. The girl, however, gradually adjusted to her new life and extended the range of foods she would eat. She lived a reasonably normal life, learned to speak English, but was described as being rather loose and wanton in her conduct. 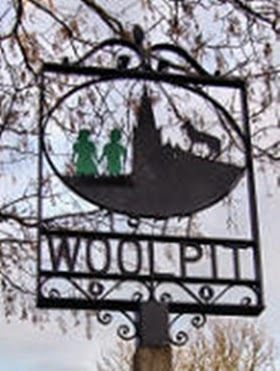 Gradually the girl was persuaded to tell her story of how she came to be found in Woolpit. "Being frequently asked about the people of her country, she asserted that the inhabitants, and all they had in that country, were of a green colour; and that they saw no sun, but enjoyed a degree of light like what is after sunset. Being asked how she came into this country with the aforesaid boy, she replied, that as they were following their flocks, they came to a cavern, on entering which they heard a delightful sound of bells; ravished by whose sweetness, they went for a long time wandering on through the cavern, until they came to its mouth. When they came out of it, they were struck senseless by the excessive light of the sun, and the unusual temperature of the air; and they thus lay for a long time. Being terrified by the noise of those who came on them, they wished to fly, but they could not find the entrance of the cavern before they were caught." Many explanations have been given but a hidden world within the earth is the most common. Somehow the children had perhaps stepped through a door from a parallel dimension. The Scottish astronomer, Duncan Lunan, has suggested something completely different and puts forward the theory that the children were transported to Earth from another planet in error by a malfunctioning matter transmitter. "One prominent feature of the village sign is two small children. They depict a story that goes back to the 12th century and tells the legend of The Green Children of Woolpit. This curious tale is recorded as taking place at about the same time as Sampson's journey to Rome. Very briefly, reapers were astonished at the discovery of a boy and a girl in a hole in the ground. The children were green, and spoke no recognisable language. The boy, who was sickly, soon died, but the girl grew up in Woolpit, and is said to have married a man from King's Lynn. This story has been re-enacted on many occasions and has appeared on children's television." "Many Flemish immigrants arrived in eastern England during the 12th century, and they were persecuted after Henry II became King in 1154; a large number of them were killed near Bury St Edmunds in 1173 at the Battle of Fornham fought between Henry II and Robert de Beaumont, 3rd Earl of Leicester. 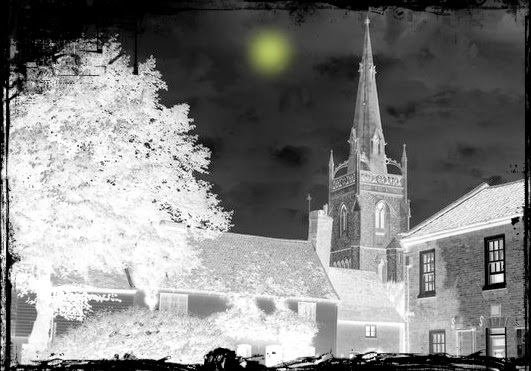 Paul Harris has suggested that the green children's Flemish parents perished during a period of civil strife and that the children may have come from the village of Fornham St Martin, slightly to the north of Bury St Edmunds, where a settlement of Flemish fullers existed at that time. They may have fled and ultimately wandered to Woolpit. Disoriented, bewildered, and dressed in unfamiliar Flemish clothes, the children would have presented a very strange spectacle to the Woolpit villagers. The children's colour could be explained by green sickness, the result of a dietary deficiency." But there is another tale of green children being found, this time in Spain. "... from Banjos, Spain in August of 1887. A boy and a girl of greenish color were found abandoned near a cave. They did not speak Spanish and wore unfamiliar clothing. From where the children from Woolpit and Banjos originated is anyone's guess: an underground world, from another planet or dimension? Or maybe there is a more simple, Earthly explanation. Whatever next! The video below brought a tear to my eye - and it's actually an advert! You may have already watched it as it has been seen by many, many people on YouTube but, for me, it was the first time. 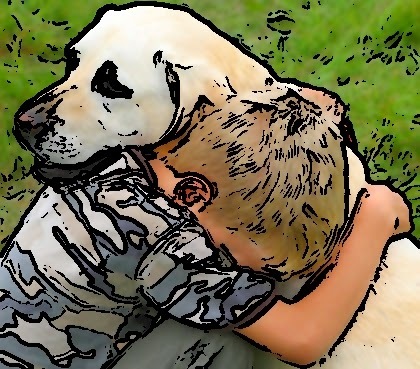 The video is titled the Unsung Hero but it could equally be called Unconditional Love. "The question of real, lasting world peace concerns human beings, so basic human feelings are also at its roots. Through inner peace, genuine world peace can be achieved. In this the importance of individual responsibility is quite clear; an atmosphere of peace must first be created within ourselves, then gradually expanded to include our families, our communities, and ultimately the whole planet." In other words we can all start to change the world - and not just for peace. Enough of the pre-amble, here's the video, it's only slightly over four minutes long. It's strange how this post came about. I wrote it on Easter Sunday when I had an hour to spare before going out somewhere. I had no idea what to write so I did a couple of other things first. 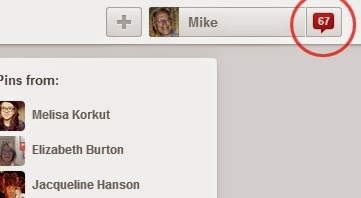 I went to Pinterest where I sometimes try to promote my blog and found that, since I had been on the site previously, 67 people had re-pinned some of my photos. I then went to ping my blog and the number I had to feed in was 7767. As I have often mentioned 67 and 76 have been 'special' numbers in my life. After seeing these numbers I thought that I was bound to come up with something for a post. I had a feeling I should go to YouTube and somehow, out of the blue, found the Unsung Hero video. It was meant to be! Yesterday we went on one of my favourite walks, known locally as the Hall Walk. For me it's very magical, to think that King Charles I trod the very same paths in the mid 1600s: during the civil war on 17th of August 1644 King Charles narrowly escaped death when a shot killed a poor fisherman who was standing where the King had stood but a short while before. 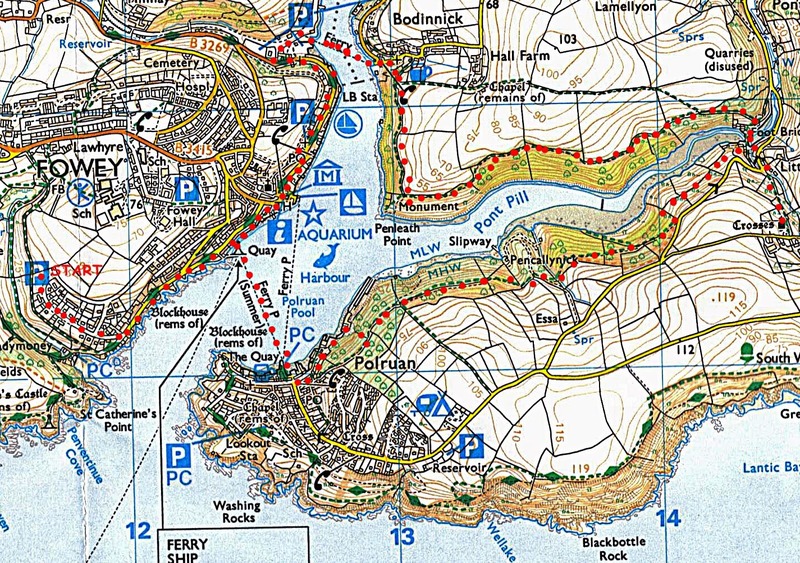 The walk is at Fowey, Cornwall and is about 10 miles from where I live. The photo above shows the banks of the river where the walk takes us. ... and take in the views until we reach from what was once Sir Arthur Quiller Crouch's house - by the side of this is the small passenger ferry that will take us across the River Fowey to the small village of Polruan. We didn't wait long for the ferry, they run quite frequently. From the ferry there are good views. This old sailing boat was moored up. ... and then wind our way along the narrow street as we head for the hills along by the river. We climb quite steadily but the views are magnificent once there is a break in the trees. You never know what you might see on the wooded path. Goodness knows how this cockerel got there, but he didn't seem too bothered about us. 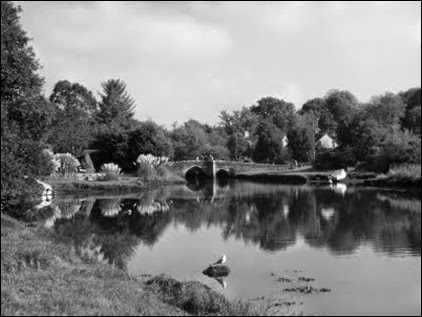 As we walk further along the path we leave the villages behind and the part of the river we are now walking is a small tributary of the River Fowey called Pont Pill. The tide is out so the river here is very low as we walked. After quite a climb we see Pont below us and this is where we will cross Pont Pill. First though we make a detour to visit the lonely church at Lanteglos-by-Fowey. I'll write more about the church another day (see The Saint Carried His Decapitated Head To Where This Cornish Church Was Built) but will just say for now that Daphne Du Maurier was married here in 1932. She renamed it 'Lanoc Church', and featured it in her first novel, The Loving Spirit. We return to the walk and reach the tiny quayside hamlet of Pont. It's hard to imagine that this was once a thriving quay where sailing barges would unload coal, fertiliser and limestone. It's now a lovely quiet spot and we had some lunch here - which we had brought with us - sitting by the wooden bridge. There's a sign on the building from 1894 showing charges once made at this quay for discharging Grain, Timber, Manures, Coal and Sand. Today though we sit there completely undisturbed. After our lunch, having crossed the Pont bridge, we head up the other side. The rocks can be quite slippery when wet but for us the sun was shining. For a while a lot of the views are hidden by the trees. ... and into a farmer's field where there is a 'right of way'. Once out of the field and back on a path the views open up before us, showing the entrance to the River Fowey. On the hill to the right of the photo it's possible to just make out the Gribbin Beacon on Gribbin Head. This is where much of Daphne Du Maurier's book Rebecca is based and also the house Manderley. The Gribbin farmland is the location for the murderous avian attacks on The Birds. Continuing the walk we can now see the small town of Fowey on the opposite of the river. We leave the coastal path and head down a road to the Boddinick Ferry to make our way across the Fowey River once again. ... wait for the ferry. This time it also transports cars as well as walkers. Slap bang next to the ferry terminal is Ferryside the house where Daphne Du Maurier once lived. By a fluke the gate was open so I snapped a quick photo of the property. On the ferry there is a frontal view of Ferryside. ... but the river is always within reach. and the local Fowey church. From here we head back to our car, once more taking in the river views. It's not a long walk. I think we did about 6.5 miles by taking taking in the Lanteglos church as well.